We didn’t get any business-related surprises during Facebook’s annual shareholders’ meeting on Monday. Peter Thiel, the billionaire investor who funded the lawsuit that bankrupted Gawker, remains on the board. All the shareholder proposals, including one to give them more voting power and another to increase transparency for gender pay equity, failed. Mark Zuckerberg reiterated his usual vision for the company in his preamble and in his responses to questions (no, Facebook won’t merge Messenger and WhatsApp — yes, teens still love using Facebook and Instagram). 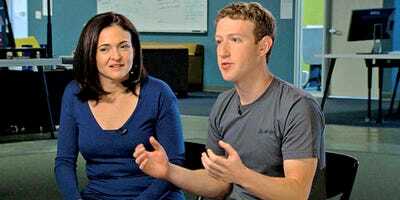 But Zuckerberg did get asked one quirky question that Sheryl Sandberg, Facebook’s COO, absolutely loved. “What do you hope your daughter would say about you and Facebook down the line?” one shareholder asked. Zuckerberg’s answer started less enthusiastically. “It’s interesting, but I’m not sure how related that is to Facebook,” he said. If you’re curious, you can listen to the full meeting here (the question about Zuckerberg’s daughter starts around the 48 minute mark).